Mayor Dawn Zimmer - from the moment she became Acting Mayor the Old Guard never accepted her after Cammarano finally resigned and eventually went to prison. Mayor Zimmer responded with class and dignity every step of the way and the crushing victory at the polls proved her right. Her agenda is led by another pump and a resiliency plan which may become her legacy but both cost serious money and her never say die work ethic and attitude will see lots of progress. The mayor has cut fat and lowered expenditures all over government making whatever budget challenges arise a bigger obstacle ahead. The Old Guard placed every roadblock in the way they could and ransacked her communications for almost a year and a half and they still couldn't beat her. No reason to start thinking that will change. stands tall having weathered some of the vilest attacks from Beth Mason. Councilman Ravi Bhalla - the civil rights activist lawyer found himself on the end of brutal, ugly and some suggest racist defamation. 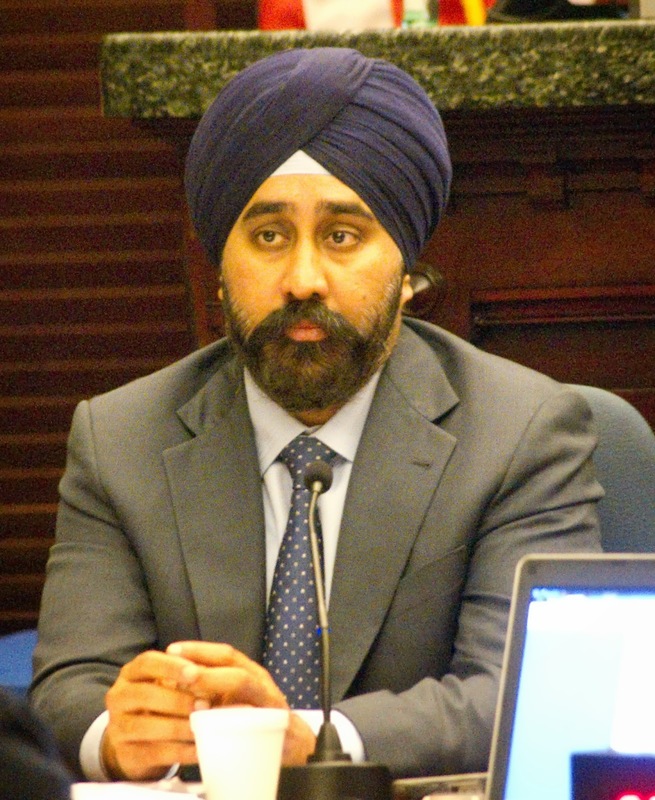 He held the dignity of himself and family high while standing up eloquently in the face of the most vicious, foulest attacks seen in Hoboken over decades. As he said at the victory party - "we're all standing." His future is bright but he has to know the bulls eye on his back won't go away. He did after all survive a direct attack by the Queen of Vindictive Mean - Beth Mason. A reorganization meeting of the City Council may take place in January not July. Another round as City Council President would be in order. He was the best seen in MSV's years observing the role in Hoboken. Lt. Ken Ferrante - he stood with grace arguing the police reorganization in 2010 which eventually saw no layoffs but he's become a friend to reform and a rising community leader with this election. His efforts along with others leading a Reform win in Marine View Towers sounded a thunderclap on election night that will have people on both sides of the electoral divide talking for months. He's the new OEM coordinator and a rising star in demonstrating what leadership, strong values and putting Hoboken first is all about. When people talk about divisions in Hoboken, they need to speak to him and follow his example. Councilman-elect Jim Doyle - suffered through much in his quiet Irish stoicism. He won't have to remain quiet for much longer. A true, honest voice of dedication to the community, it was a toxic decision to appeal the court decision upholding his original appointment. Toxic is what Beth Mason does so now she gets to see him more often and a lot closer on the council dais. His time in purgatory only endeared him more to the community. Councilman Dave Mello - he's found his voice and mission to match his passion for the City. Now he has to marshal the drive and focus with his long list of demands from the council to the Hoboken Housing Authority where more leadership will be needed. Communication, coordination and interfacing with others will determine how far the objectives are made. Had the line of the night at the party, short and sweet saying, "Does this feel good or does this feel good?" It brought the house down. Rent control advocates - in the most contested issue in Hoboken, they withstood a questionable legal challenge forcing the issue back on the ballot. It goes back to court it says here. Can the NJ judiciary repeat the fiasco a second time? Hopefully not as everyone agrees changes are needed and should be done through City government. Jennifer Evans - a picture perfect advocate for the district, she made a splash as the top vote getter in the BoE race. Kids First is a mature brand and now it needs to move squarely into another phase of its majority. Evans may be the model for what evolves in Hoboken education: a leader who can bring all discordant voices together accelerating improvements in the district. Superintendent Mark Toback will be pleased to see her arrival. 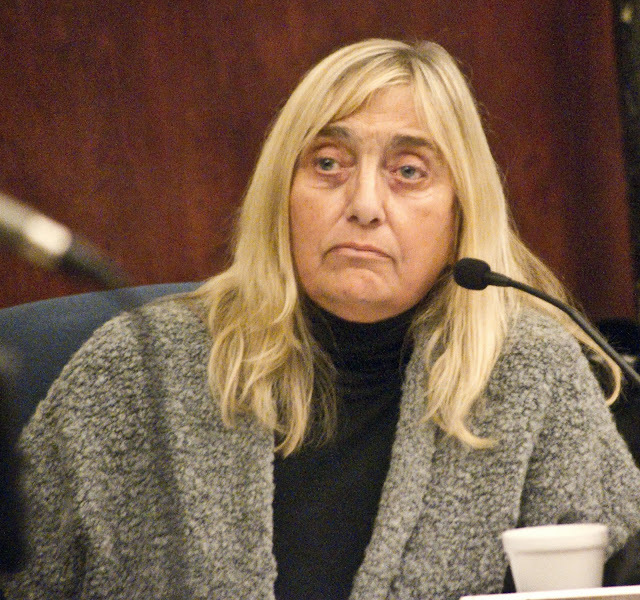 Irene Sobolov - a model of decorum and reasonableness, her steadfast approach to rise above the fray once again made Kids First dominant in sweeping the BoE election again. Both her temperament and stature in the community is a model for anyone (and everyone) to follow. A former Elk of the Year, talk to her about divisive politics and watch it melt into a discussion of how we can make the community stronger. Leon Gold - his election is confirmation he was not out on a limb in his leadership in running the BoE meetings: a proper mix of business like professionalism and stern direction. Sets a standard for everyone to follow on the dais and in the audience. It's welcome and the voters agreed. Stan Grossbard - the husband of the mayor runs a business in midtown Manhattan but became an object of attack with a ridiculous lawsuit by HHA Director Carmelo Garcia. He never became the issue although others tried to make him one. He stayed in the background and kept supporting his wife as he's proudly done for years. He'll continue showing how a strong husband can aid his wife who is a rising state and national figure. The Reform Movement - a loss would have erased all the gains for the City after 2009. One of the biggest issues in the election was a secret massive redevelopment advocated by the Old Guard called Vision 20/20. Only Dawn Zimmer and Reform questioned it and demanded accountability. It's a legacy unspoken and likely was unheard by most residents. The maturity of the movement is what brought it to this position. It takes lots of sacrifice from many, not the ambition of a few and today everyone gets to enjoy the fruits of that maturity. The People of the City of Hoboken - the people have won because this is the most open, transparent government in its history, end of story. Voices are heard like never before in Hoboken while others complain they aren't. The negative voices insist capitulation is "listening" but they never listen to anyone. Not on the hospital, not on repaving Washington Street, not on the budget surplus... the list goes on and on. Special interests and big moneyed interests - especially from outside of Hoboken has never had to wait in line for a hearing as they do now. In Hoboken, it's Hoboken first. Finally. Unlike the winners list, the losers list is in order of loserdom. Beth and Ricky Mason - Beth is the public face of the latest loserdom driven by her animus against Mayor Dawn Zimmer. Did you know that Mayor Zimmer beat Beth Mason not once but twice for mayor - and in the same year? 20% of Hoboken residents change in a four year period so many (new) readers won't know that and it's what funds all the ugliness in this town's toxic political environment. Ricky Mason is the treasurer of the Mason political committee and the person who deposits the money dedicated to harming Hoboken into a Beth accessible checking account. The One Hoboken name was repackaged from 2009 as well. Great idea Beth along with taking out full page ads and putting yourself on the back page so we all know who the loser is pushing all the other losers. Hoboken heard you loud and clear and even with the coupled 250K in a short campaign, you managed to hit the pavement harder then in the spring of 2009. Got a clue yet? Frank "Pupie" Raia - According to GA, he wanted to run alone for council and the results would have been likely the same. It just has to feel worse being taken for a ride and attaching yourself to the Beth Mason Titanic. People around town are calling him Mr. 7 since he finished in seventh place right above ticket mates Peter Biancamano and Britney Montgomery-Cook. But they were just stand-ins. Pupie power has pulsated its last. Time to move on Pupie but does the Department of Justice have a say first? Timmy Occhipinti - sadly the question remains did this guy really quit his job with about a month left in the campaign where he had zero statistical chance of beating a popular incumbent mayor and a rival's campaign well entrenched from February? If he did, it was dumb and if he didn't he's learning termination from Alliance Bernstein as a help desk customer service guy wasn't so bad after all. The smirk is gone and that's a permanent political improvement. He looked like he was crying all night before Wednesday's council meeting. Who can blame him? He believed he was popular and that 1240 votes purchased on his behalf in 2011 made him a strong candidate in 2013. No Timmy. Those votes get bought by the Hoboken Syndicate and go to whoever is deemed appropriate. Did you notice what happened when that went away? A mere 476 votes in his OWN ward and only 300 of them were on the machines. Matt Calicchio could do better than that. So who needs Timmy anymore? Carmelo Garcia - his insubordination at the Hoboken Housing Authority is an irreparable problem. His lawsuit gambit when he was about to be exposed for recording others in his little library stash of future blackmail made him a statewide pariah which he'll learn in Trenton in short order. When you are the problem with the bosses, it doesn't look good when they take a closer look at you. He's dead to Brian Stack and there's others who look forward to similar. His lawyer must be wondering why he ever thought of filing his rancid case. Ramped up the ugly and now he has to look at himself in the mirror. Thinks he's talking to God when doing evil. His ticket was stamped express by the devil a long time ago. We could, we did, watch us! FinBoy - If you think the moniker of loser bothers FinBoy, you'd be wrong. If Grafix Avenger is correct, FinBoy always comes out on top because he keeps his hands on the Mason money so he comes up roses even when his dead fish head stinks up the joint. He's become the master of one thing: spinning others to blame for his actions leading to abysmal failure. He was Mason's orchestrator of the infamous Nazi Truck. This time he orchestrated Frank "Pupie" Raia's utter destruction. The only thing he can do worse is testify against him in a federal case. Don't be so sure he wouldn't either. He's that dirty. Michael Russo - got on board with the Ramos campaign early but there's no immediate payoff (quite literally) so there's no coin for the Russo clan and he can hang the white sheet over his own head and kiss goodbye all his green dreams of Vision 20/20. It's dead and there's no payday for him there. Ruben Ramos - he's a loser but he exceeded expectations overall including here by coming in with over a third of the vote. He didn't let animus drive him or his campaign and he showed in a personal way some respect for the mayor during the race and conceded in exceedingly quick fashion earning him more respect. The rough treatment of voters though in the fourth ward showed how desperate he was to do well and revive his political fortunes. Some of those people won't recall it well while others will be holding a grudge. Although his campaign has been pointing fingers at the Raia-Mason campaign, the Department of Justice may not see much of a difference on who did what. It could become a problem which would dispirit some in the campaign who don't like vote buying. Peter Biancamano - a Raia soldier who took the mantle when Jamie Cryan was scared off by the Ramos campaign from doing so, his prospects for Second Ward in 2015 are now up in the air. He has time to recover however and that's his best advantage but not much. His mouthing "voter suppression" on a question about Vote by Mail may however haunt him, or worse. Councilwoman Theresa Castellano - the shocker of the night was a fortress of votes for the Old Guard not only dented, it flipped over to Reform from top to bottom. It must have been a shock to her and as she said "humbling" regarding the election results at the last council meeting. Is humility too late at Marine View? council meetings but what they said in her base of Marine View Towers sure got her attention. One Hoobken and BSN BoE slates - more of the same formula from the Old Guard BoE tickets. It's all identity politics and not issue based although BSN tried the formula at least on the periphery. The mistake is in leading with a sneering candidate - the much disliked Brian Murray. If your slate is begging Patricia Waiters to stay on your ticket, you have bigger problems than education issues. Just saying. Knowledge of school board issues was frankly embarrassing and showed in the BoE forum. Britney Montgomery-Cook - the only reason she makes the list is because she had no business getting into this race. People think she's genuinely nice and a good person but she had the misfortune of being a neighbor of Timmy Occhipinti. She can walk away now, the faster the better. Hopefully she escapes from the mess of the Department of Justice breathing down on the One Hoboken campaign. No one makes the list from the Vision for Hoboken ticket. They conducted themselves admirably as candidates although Eduardo Gonzalez has an issue sitting on the HHA in how he backed Carmelo Garcia over more than half-a-dozen votes for a legal counsel against the wishes of his fellow board members for more than a year. That is however, peripheral to this campaign. Joe Mindak conducted himself very well and Laura Miani did fine but her connections to Peter Cammarano surfaced with a four figure family contribution raising eyebrows more than her efforts complaining about parks. There's other losers. We'll have to think more on it first.